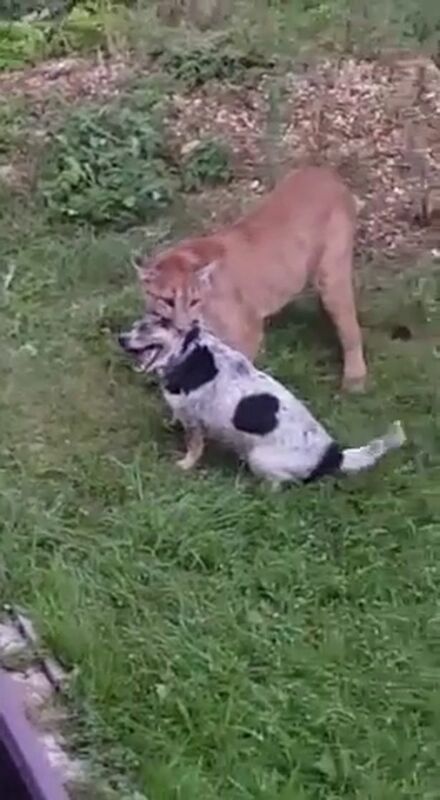 A giant puma invaded a family’s garden, attacked their dog and held its neck in its jaws for eight minutes. Residents in Kozino village near Moscow, Russia say the puma was the pet of a local oligarch in a nearby elite housing compound Fryaz, home to many Russian celebrities. The male cat escaped and terrorised homes in Kozino in the early morning attack. It spent an hour and a half in local man Alexey Mirankov’s garden before the emergencies services shot the beast with a tranquilliser. 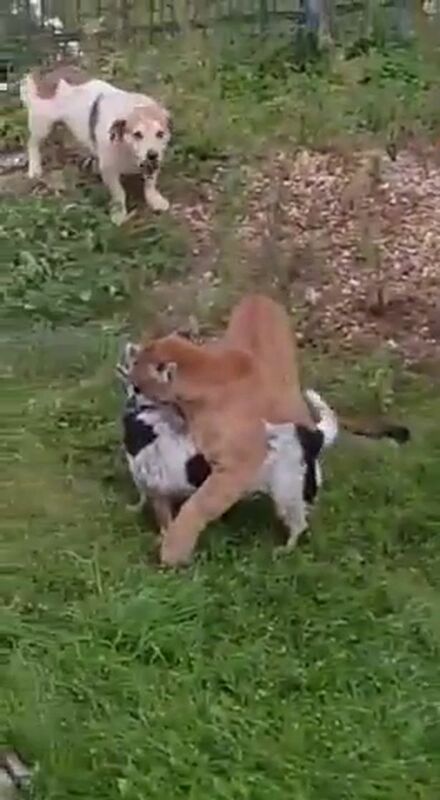 Incredibly, the dog called Zhulya survived its ordeal – as it if the puma was toying with it rather than intending to feast on it. “I heard my dogs yelping,” he said. When I went out, I saw a puma holding one of them in its teeth,” said the shocked householder. “I felt lost at first. “I immediately thought of my daughter aged five who is usually walking outside at this time – but thankfully she was in the house. “When I went back inside, the puma ran after me holding my dog with its teeth. The puma had stalked his garden from 6.30am looking for the hiding dogs, he said. The rescue service came and shot at puma with a tranquilliser. “They said it was a young male who escaped from the elite settlement called Gryaz.